Want a tip is on how to ensure your wedding day is a complete success? Provide gratuities to your vendors in appreciation for their services rendered, and the sooner the better. Most newlyweds give tips at the end of their event but if you give yours toward the beginning, this special thank may encourage extra special service. You’ll just need to budget for the expense, since you can easily spend several thousand dollars in gratuities when you add it all up. When you’re spending so much money for your food, cake and limo service, you may feel overwhelmed by the thought of needing to spend even more for the tips. If so, you certainly aren’t alone. 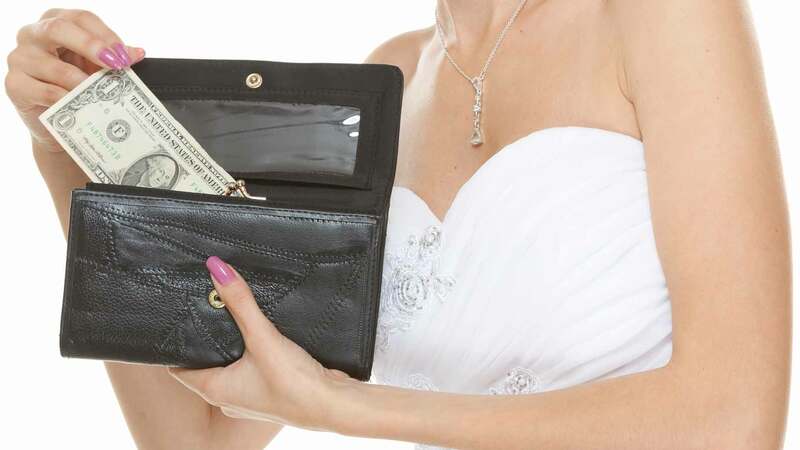 Many bridal couples feel strapped by all of the wedding-associated costs. Nonetheless, the custom of tipping is appropriate, and even expected, in many circumstances, so you’ll need to know exactly who should get what. There are a number of people who will provide services for your wedding day, such as the officiant, the caterer, the DJ, the wedding planner and the baker. Some of them will expect you to tip them for their efforts, while others will be satisfied with a sincere thank you. How do you know which is which, though? Who to tip and how much can vary in different parts of the country, so it’s always important to find out the local standards. If you have a wedding planner, this person should be able to guide you. Otherwise, you can ask other newlyweds in your area for some recommendations. But always use your judgment as to what you think is best for each specific situation. You can also do a search online for wedding tip suggestions or visit some of the popular wedding planning resources, including The Knot, Wedding Zone, and Brides.com. As a general rule of thumb, many experts say that those vendors who work for themselves often don’t need to be tipped because they profit directly from your payment, while those that are employees who work for someone else may need to be tipped for their efforts. In either scenario, even if a tip isn’t strictly necessary, if the person goes above and beyond your expectations to make your event special, it is usually a good idea to offer a little extra thank you. Most officiants don’t get a tip. In fact, it would be a breech of etiquette to tip clergy members, and a Justice of the Peace usually works for himself and therefore gets to keep your entire fee, so no additional amount is usually necessary. However, if your officiant is affiliated with a religious institution, you should make a donation. Most couples give between $50 and $500. It’s a nice touch to tip the alter boys. Most couples give them $10-$20 a person. The rule of thumb is that you don’t need to tip the florist. However, you should tip the person who delivers the flowers to your venue and/or does any of the floral set-up. Plan to give about $10 a person. If there will be multiple deliveries (i.e., to your hotel, ceremony location and reception site), you should give more. The music at your ceremony and reception will go a long way toward setting the mood of your wedding day. It can be a nice touch to give these specialists a tip to show your appreciation. An organist or soloist generally gets $50 to $100 and other musicians who perform at your ceremony should receive about $10 each. If you have a live band at your reception, expect to give each member up to $25, while a DJ should get $50 to $100. The caterer is one of your most important vendors, and as such, can make, or break, your wedding day. If you look closely at your contract, you’ll probably notice that a service charge is included in your overall cost. It’s important to ask your caterer what this charge includes and how much more is expected. You’ll also need to ask if any gratuity is given to the wait staff, since they will be working very hard to serve all your guests. If not, you should plan to give 15 to 20 percent of the total food price to the wait staff to split. You’ll probably be too busy to think much about all of the people behind the scenes who make sure you have everything you need for your wedding ceremony and reception, but their efforts are actually invaluable, so make sure they don’t go unappreciated. Your bartender also works hard on your wedding day and as such, deserves a special thank you. Just make sure that the gratuity isn’t already added into your bill. If it’s not, you should plan to tip 15 to 20 percent of the total cost of the liquor. (Of course if 10 percent is already added in, then you’ll need to give a tip equal to between 5 and 10 percent of the bill on top of this.) If you have multiple bartenders, the tip is usually given to the head bartender so he can split it among the staff. Also, ask that a sign be put up at the bar that indicates that no tips from guests will be accepted. The parking valets typically get $1 per car, and the coatroom attendants $1 per guest. In both cases, you should ask them to put up signs instructing guests not to tip them. If you have a wedding planner, you can ask this person to give out all of the tips to your vendors. To make this easy, simply provide sealed envelopes containing the tips that are labeled with each vendor’s name. In most cases, you will know the number of guests and amount of the total bill, so you should be able to figure these out in advance. You can give the wedding planner’s own tip separately at the end of the night or send it in the mail later. If you don’t have a planner, then you might ask the best man or father of the bride or groom to handle the job. While money is certainly a nice tip for many vendors and will be quite appreciated, in some cases it’s appropriate to send a note expressing your heartfelt thanks for the services performed instead. Some couples also include a gift certificate to a special restaurant, store or for a spa treatment, or send flowers with a nice note. Another option is to send a photo of the vendor in action at your wedding. In addition, it’s always a nice touch to write a reference expressing your satisfaction that the vendor can use for other potential clients.